​This intimate yoga weekend will take place in the laid back island of Holbox, in Quintana Roo. Mexico. Holbox is famous worldwide as the place to swim with the Whale Sharks. A super chilled island with streets of sand. And some of the most AMAZING sunsets you can experience! Everybody moves around the island by foot, bicycle or golf cart. 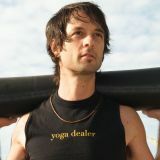 Michael Gannon has worked with a close student who has a beachfront hotel to create Yogaloft Holbox, which is a roof top yogashala overlooking the ocean. Single occupancy room rate available for +US$120 BOOK NOW!